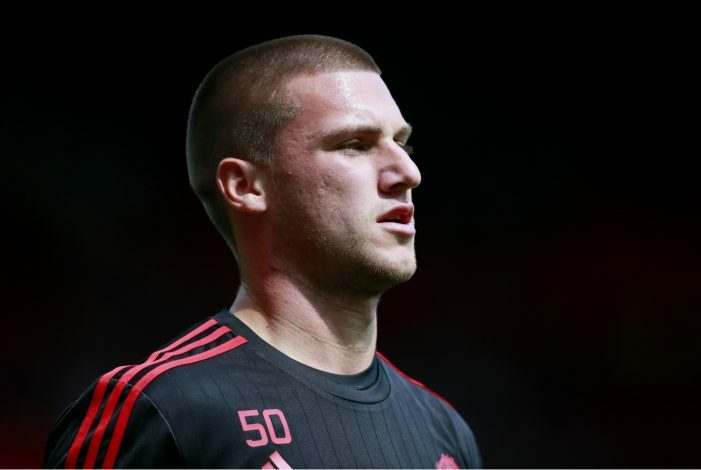 Sam Johnstone is reportedly edging closer to joining Aston Villa on loan from Manchester United. Villa boss Steve Bruce has agreed on a loan deal to make the United reserve keeper his number one. The goalkeeper has attracted interest from several clubs, and Jose Mourinho is willing to sanction a move until the end of the season. The 23-year-old is yet to have a senior appearance for the Red Devils, and with Sergio Romero covering up for David de Gea, the youngster is free to gain experience elsewhere. Morgan Schneiderlin, Memphis Depay and Anthony Martial are among those who have been heavily linked with loan moves, yet the Portuguese is only ready to sanction a temporary deal for Johnstone. Sunderland are also believed to be interested, with former United manager David Moyes in desperate need of a replacement for injured Jordan Pickford. But according to the Birmingham Mail, Villa are leading the race for the 23-year-old’s services, as plenty of game time is expected at Villa Park. Both Pierluigi Gollini and Mark Bunn have struggled this term, and Bruce has had Johnstone eyed as a quick solution for at least some time. Despite strong interest from other Championship clubs and Premier League boys Sunderland, Villa are firm favourites to land him once the transfer window opens.